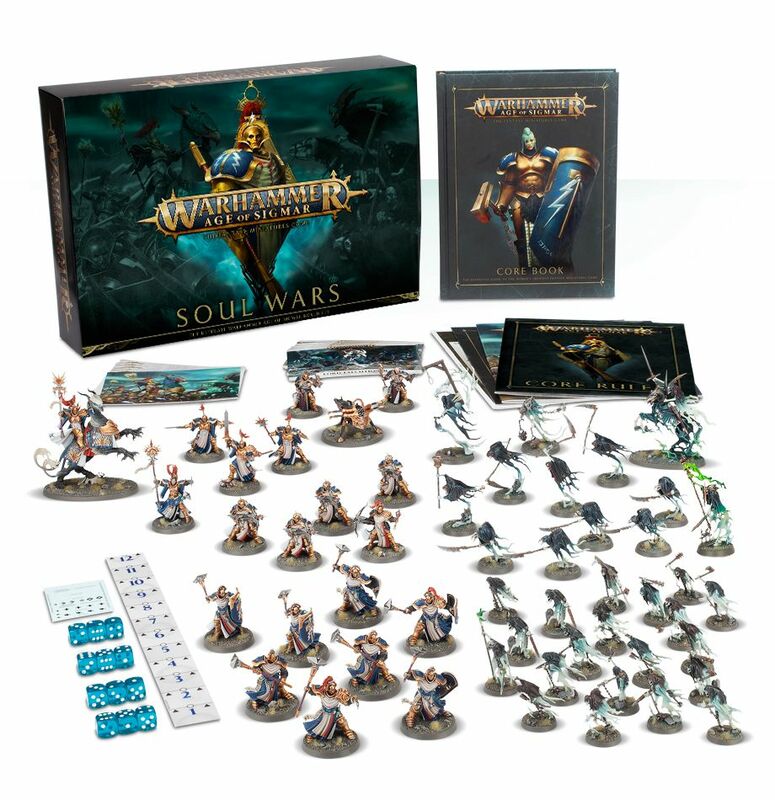 Warhammer Age of Sigmar Soul Wars is up for pre-order and we’ve got our copy already. 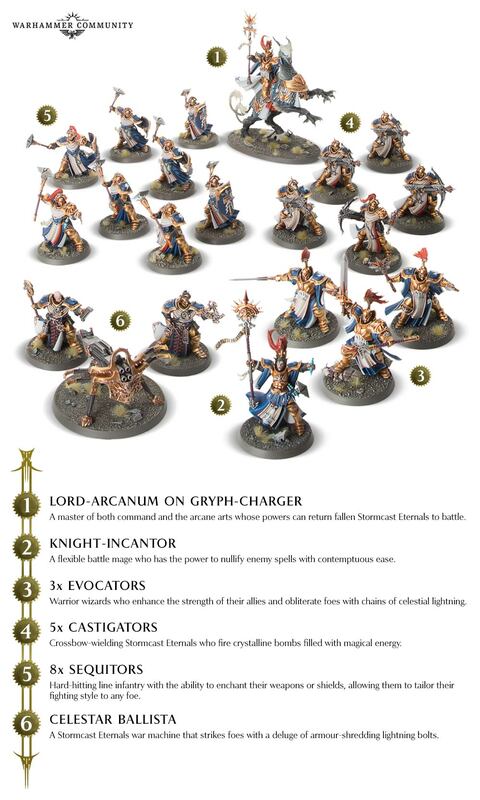 However, we noticed a curious thing when it came time to point out the two armies inside the box – the Soul Wars Points and the General’s Handbook 2018 don’t match-up. Let’s see if we can clear this up. Now we’re looking at 4 wound difference. That’s not THAT large of a difference, right? Eh…it’s still not perfect and the Stormcasts also have a range advantage while the Nighthaunts have speed on their side. Both factions are surprisingly durable, too. 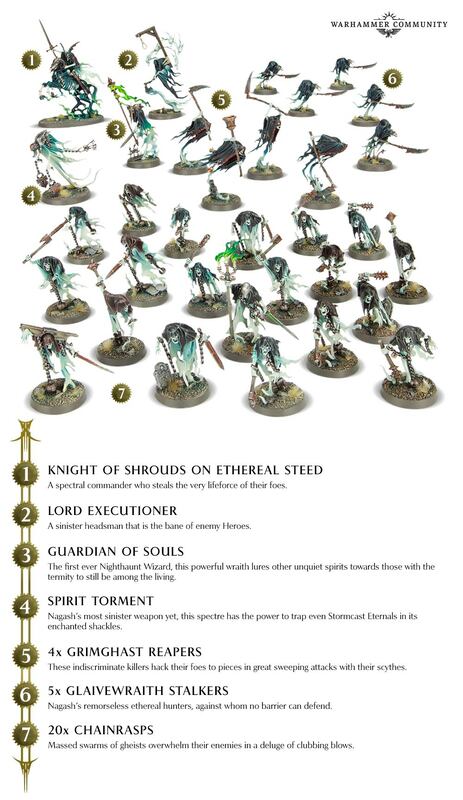 The Nighthaunts are all Ethereal so Rending doesn’t impact them and the Stormcast have good armor all-around. I think these two force just might end-up being pretty even if you’re playing First Blood. Just keep those points in mind when you start expanding your armies. 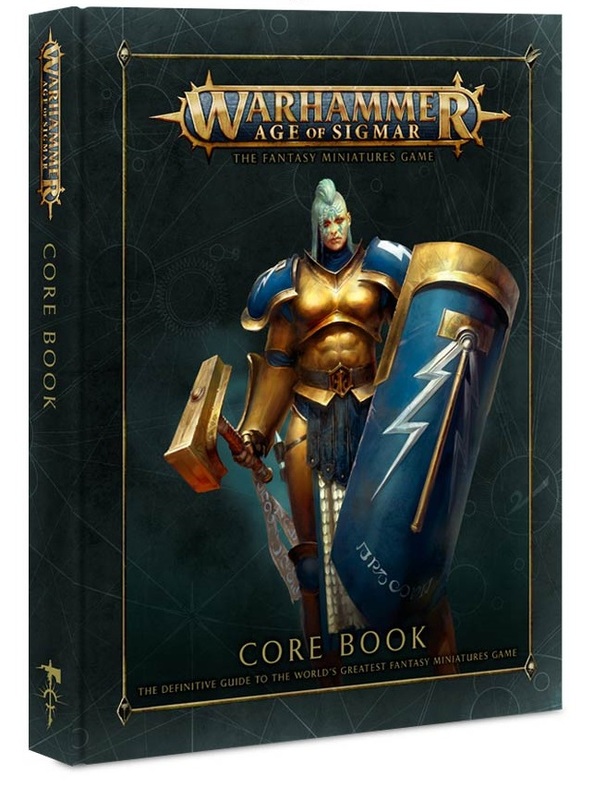 Don’t forget the Core Book – Lots more battleplans to play in there! One last thing – no matter which version of the points you’re playing with don’t forget about COMMAND POINTS! They cost 50 points a pop and can absolutely help balance things out. Just something to keep in mind. Which side are you going to root for? The Gleaming Golden Good Guys or the Rag-tag Underdog Undead? Let us know in the comments below!